When one thinks of Pagani, you don’t usually consider a standard Huayra or Zonda as ‘normal’. Indeed, each one of Mr Pagani’s creations are out-of-this-world in their own right. However, every now and again the Italian manufacturer throws in a bit more extra out-of-this-worldness to the designers’ brief. This can be seen with the likes of the Zonda HP Barchetta and Huayra BC. Speaking of the Huayra, it appears that Pagani are secretly developing another variant of the company’s only production model. Kris Singh, better known as Lamborghiniks on Instagram, recently posted a picture showing a test mule for a potentially even more hard-core version of the Huayra. 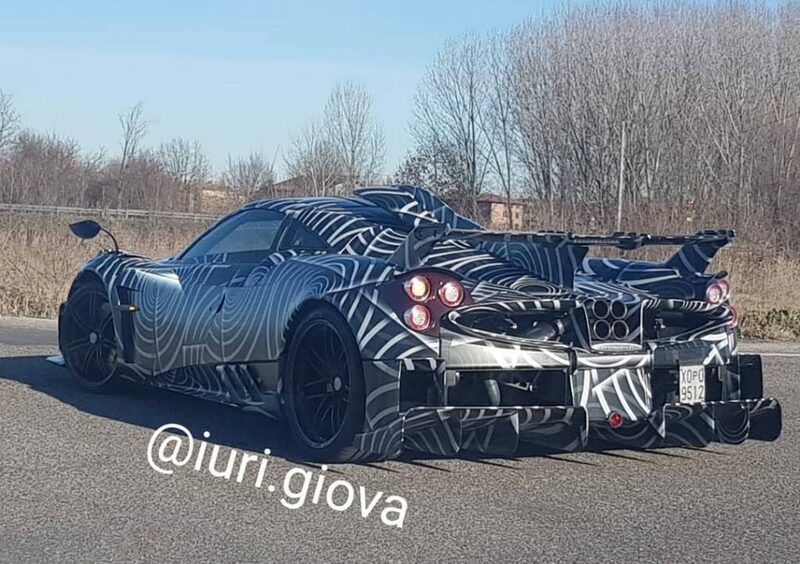 Just by seeing the spy-shot, you can bet your bottom dollar that this new Pagani will almost certainly be as unique and bonkers as ever. A new, larger, more aggressive carbon-fibre rear diffuser, a Zonda Cinque-like roof scoop and some fins on-top of the rear lights (similar to the Huayra Roadster) are seemingly only a few aesthetic details that make this variant of the Huayra different from the others. Although Pagani have not released any information or inkling that a new Huayra will be on its way (besides the BC Roadster), it is not certain whether this is a mule for another model or whether the Huayra BC will become even more exciting. Or perhaps, like the many ‘final’ variants of the Zonda, this will be one of those ‘final’ versions of the Huayra. Whatever this mysterious mule is, however, it will almost certainly be ultra-exclusive and have a price tag to match.